The first Bellingan birth I have found, confirmed as an ancestor, is in 1568 in Amiens, France, that of Florent Bellingan. The latinised version of his given name is Floris/Florus, a name passed down to many Bellingans to this day. What is curious, is that when Florent's son Noach (1618-1691) starts recording all the details of the family history in the family bible, he never mentions the name of his mother, father or grandparents. He records the death of his mother on 16th January 1648 (most likely near Zaltbommel, Gelderland, Netherlands), and that his father who (following his wife's death?) at the age of 80 travelled to Amiens to find the brother he had left behind in France. Florent died on that trip to Amiens in 1648, and whether or not he found his brother, we don't know. There were several bouts of Plague in Amiens between 1631 and 1668, so it is possible Florent was a victim of that, or just old age. (See the section on events in France around Florent's lifetime). Noach notes that he was told his father had fled Amiens because of his religion. It is Wouter Noach, who adds that he had seen an attestation from 1646, that noted the name Florent Bellingan, who was then living in Zaltbommel. With no mention by Noach of his parents names, dates of birth etc, we have almost no information on the family tree before them. The name Bellingan is now very uncommon in France judging by the phone directories, although there are several with the name Bellegarde, Belingand, and Bellingant is an old name from Bretagne in the North West (Manoir de Kerbabu, Lanillis, Bretagne). Searching through old documents, the names Bellingan or Belingan and de Bellingan or de Belingan do come up and a few are listed at the bottom of this page. What we do know is that life in Northern France, and much of Europe, was not peaceful in those times. Henri IV, who lived from 1553-1610, had been a Protestant and his court was filled with Huguenots. This had been a frequent source of aggravation to the Catholic majority in France. Henri IV was King of Navarre from 1572-1610, and then following Henri III's murder by a Catholic fanatic, Jacques Clément, in 1589, he became Henri IV of France from 1589-1610. He too was murdered by a Catholic fanatic, Francois Ravaillac, and each of these events provoked problems of succession and religious violence. This religious strife along with several international wars that took place at various times during the period, led to economic dislocation and all of these factors exacerbated the effects of famine and plague. 1568: Creation of the Catholic League to stop the spread of Protestantism. 1576: Duc de Guise declares Paris a Catholic League town. 1597: 11 March - Spanish seize Amiens. 1597: 25 Sept. - Spanish surrender Amiens. 1597: 18 Nov. - Amiens punished for becoming League town. Under royal rule. No mayor. 1685: Edict of Fontainebleau, Louis XIV revokes the Edict of Nantes. 1700: In Amiens, it is noted that there are no longer any Protestant textile businesses or workers. The 200 years covered by the list above show a succession of concessions to Protestant worshippers, followed by the cancellation of those freedoms, followed by violence. There was one text I found, that was interesting, and while it doesn't provide proof of a direct link with our family it does illustrate some of the problems of trying to trace a family name as spellings of names were far more variable in the past. 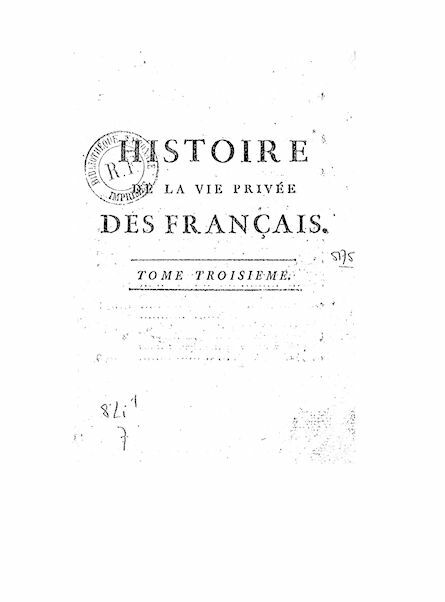 The text was in a book published in 1782 in Paris with the approval of the King, and the images below show the book's introductory pages and pages 196 and 197 of Volume III. 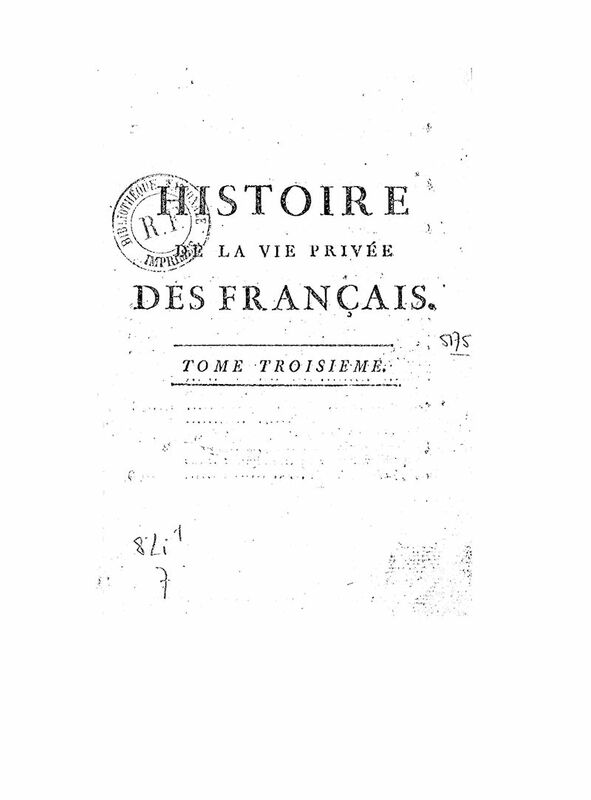 The book was written by Le Grand d'Aussy and in the third volume of this book, Histoire de la vie privee Des Francais there are some interesting paragraphs. (Pierre Jean-Baptiste Legrand d'Aussy was born in Amiens 3 June 1737, and died in Paris on 6 December 1800. He was a Jesuit scholar). Halfway down page 196 mining activities since the 15th century are discussed, and it is only with 'le bon Henry IV' (13 December 1553 – 14 May 1610) that a policy is created whereby experienced people can be put in charge of developing the industry. In a section on page 197, describing the industrial initiatives taken by Henry IV, the book talks of courtiers to the king, using their position to obtain positions within the new industries. From mining, the king wanted gold, and of course the courtiers wanted some to come their way as well. Several of them are named and thus one, Bellegarde, became Surintendant of mines, while Bellingan, Premier Valet-de-Chambre to the king, became Controleur-General. The text goes on to say that despite obtaining this advantage, the benefits amounted to little, because the hoped for minerals were not found. This "Bellingan" was in fact a Pierre de Beringhen, seigneur d'Armainvilliers et de Grez (15?? - February 1619), whose name was sometimes written as Bellingan, de Bellingan or de Bellingen. He was the "premier valet de chambre de Henri IV" a very influential position in those times, and his son Henri became "premier valet de chambre" to Louis XIII. Pierre de Beringhen was born of a Protestant family at "Guenep (in the Duchy of Clèves)". Gennep, as it is now known is about 50km south of Driel, and Kleve, the town, is now part of Germany. Cleves and what is now Gelderland overlapped. 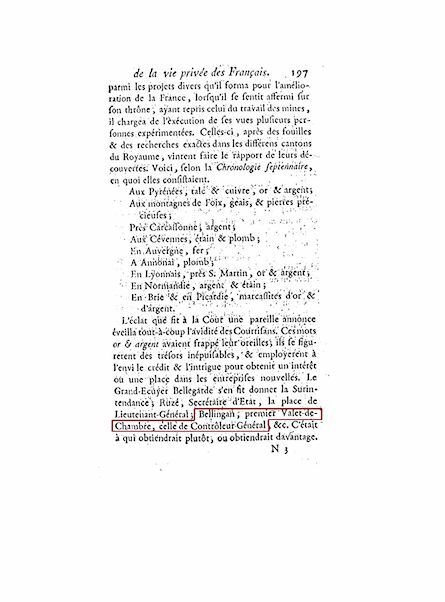 Another description says he was a native of the 'pays de Gueldes', which was the french name for what is now Gelderland! Maybe when Florent fled from France, he was returning to a country he already knew, he or a relative having migrated earlier as Beringhen did, to make his fortune in Amiens...or to get away from war. There were also several Pinguet de Bellingans (or de Belingan), who were very influential in Amiens in the 16th/17th centuries. 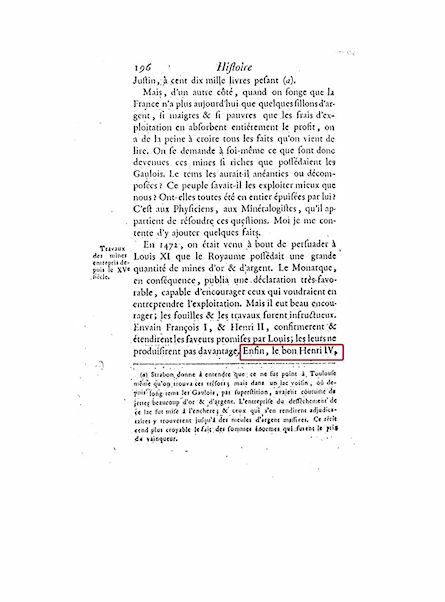 In the "Histoire littéraire de la ville d'Amiens" (1782), we can read of Francois Pinguet de Belingan (one 'l'), once the mayor of Amiens...according to the text. I found no references to him being mayor of Amiens, but several mentioning him being elected a Lieutenant of Amiens. He was married to Marie-Jeanne (nee deSuin or de Suyn). In the Archives of the Somme, we read: "1709. - Moulin Clenquain. (Arm II, 1. 26,No. 22). 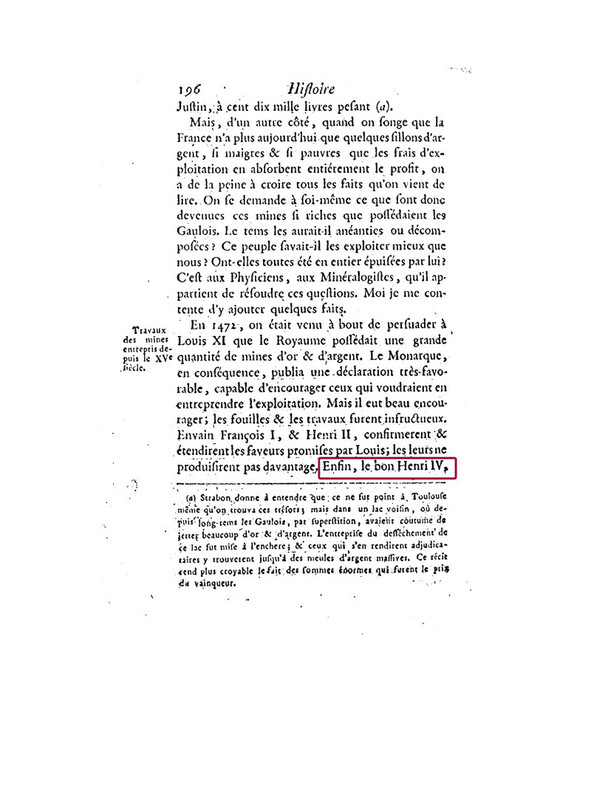 - Sentence of Jean-Baptiste Thierry, Knight, lord of Wiencourt and other places, Adviser to the King, lieutenant-general to the bailiwick of Amiens, against the farmer of the Clenquain mill, for the payment of the royalties due for the said mill to François Pinguet, squire, sire de Rouveroy and de Tagny, son and recipient of François Pinguet, squire, sire de Belingan, in accordance with The declaration of the King of 8 October 1709. Amiens, 6 November 1709. - Documents of proceedings on the said case. " "In 1716, the Amiénois Pagès quotes the families of Bellingan and Rouvroy in Taisnil. 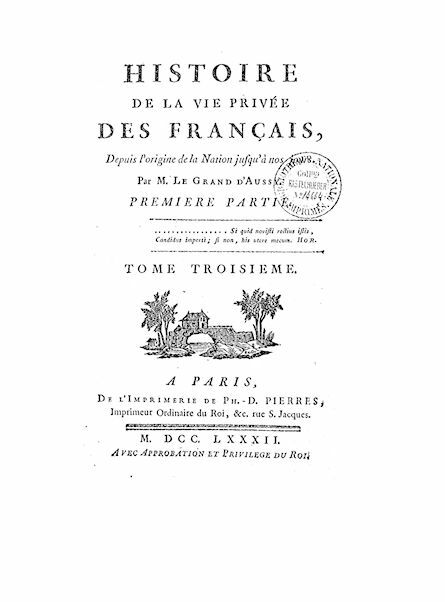 The land then fell to François Pinguet, who was buried in 1753 in the choir of the church". Eldest son of Francois and Marie-Jeanne Pinguet de Belingan. 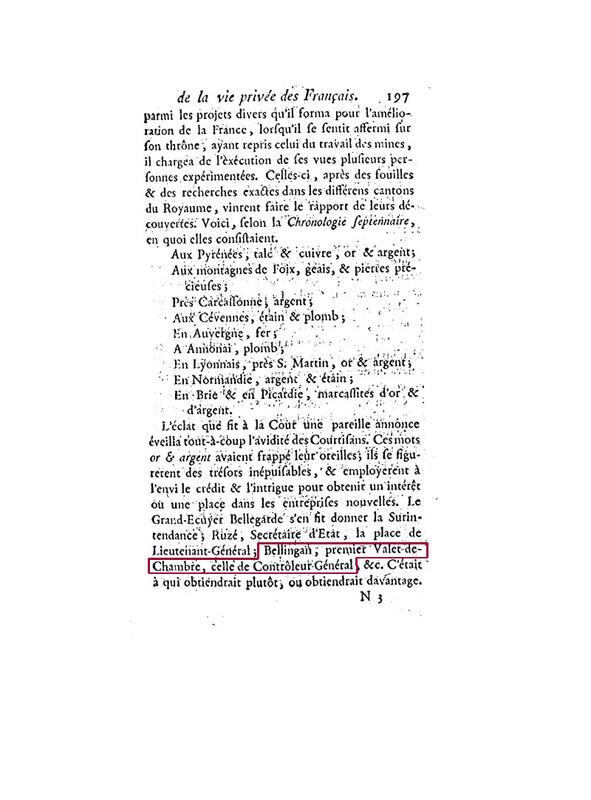 The "Histoire littéraire de la ville d'Amiens" (1782) notes a Jean-Baptiste Pinguet de Bellingan of Amiens (two 'l's) who was Jesuit rector of the House of the Professed, at Paris (La Maison Professe des Jésuite). Youngest (?) son of Francois and Marie-Jeanne Pinguet de Belingan. Abbot of the Abbey of Saint Crespin le Grand at Soissons and honorary cannon of the Eglise Metropolitaine de Paris. Died aged 81 in Paris. From Huguenots to Jesuit rector of La Maison Professe des Jesuits, and an Abbot of St Crespin Le Grand at Soissons? Religious zeal in common, but who knows! Centered around Amiens again though.